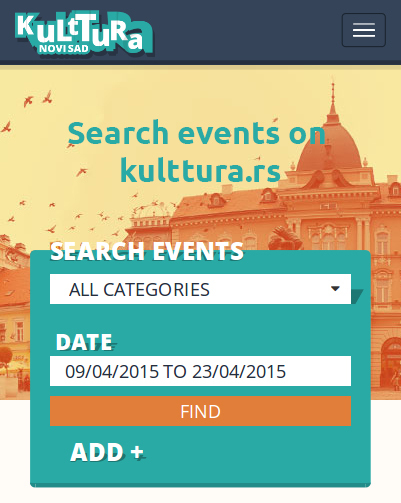 Stating on its website the facts about the European Capital of Culture and sharing the official video of the candidacy that represents the cultural capacities of Novi Sad, as well as the recapitulation of what has been done for the candidacy so far, Ministry of Foreign Affairs of the Republic of Serbia sent a message of support two days before the final decision in Brussels. The statement says: “Bearing in mind that Novi Sad is multicultural, multiethnic and multireligious environment, which has been confirmed as a model and the basis of European values, all relevant state authorities, institutions and officials of the Republic of Serbia provide support to this candidacy. Novi Sad has a significant cultural capacity not only for the region but for the whole of Europe. Selection of Novi Sad is of great importance especially from the point of negotiations on membership of the Republic of Serbia in the European Union and the opening of the key negotiating chapters.